We spent a wonderful week at the villa. The views are spectacular! The property is very well maintained. The villa was very comfortable for my family of 4. Our cousin and her daughter shared the adjacent studio apartment. The pool is beautiful and the property has its own dock. We arranged to be picked up and dropped off by boat from the villa for an outing to a neighboring island. Thank you, Katerina, for a wonderful stay! Sorry for the lateness of the review. This villa and owner are fantastic. My husband & I stayed here for 10 nights and nothing was any trouble for Katerina . We love to walk and did not want to hire a car, obviously this might be seen as a silly thing as it is a long walk into Skiathos town and to the shops but we decided that it would be part of our holiday to enjoy the walk and spoil ourselves with a taxi after our night out in the town. We have been to Skiathos many times before and had never stayed in this area. If you did have a car it would be so easy to see the island. The villa is so lovely, has what you need for a perfect relaxing holiday, the pool and view is amazing. I would recommend this villa and love to stay there again. We stayed at Villa Lazareta after visiting Skiathos many times. This was by far the best holiday we have ever had. 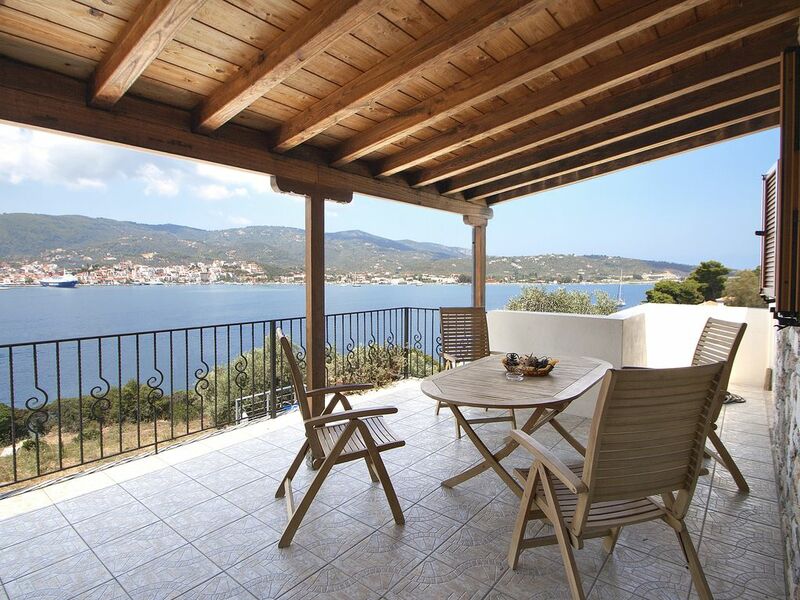 The Villa is amazing, mainly the outdoor living space which overlooks the sea and Skiathos town. The pool was lovely and clean and we even had our own jetty. You will definitely need a car to get to the villa and the roads are not the best on that side of the island, but in our opinion well worth a bumpy ride! The owner was very easy and pleasant to deal with. We will definitely be going back next year. Dieser Strand ist der ideale Ort, um vor der Villa sein Boot zu binden.